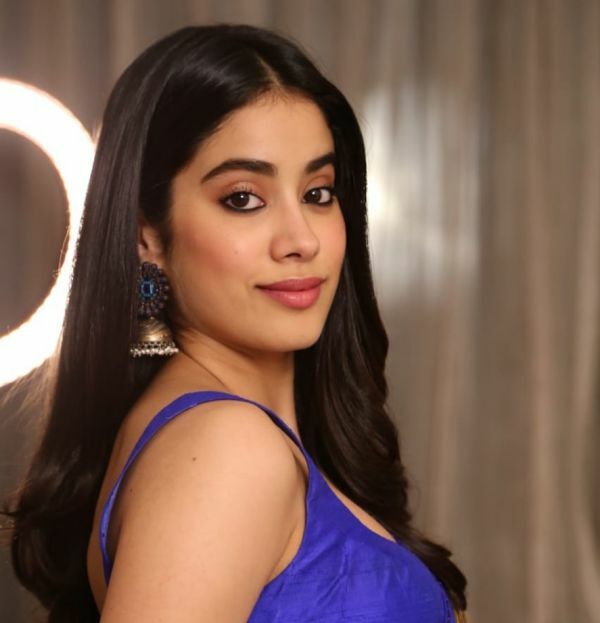 It has been only a couple of months since Janhvi Kapoor made her debut with Dhadak and the actress has already achieved so much in a short span of time. Recently, Janhvi was felicitated by the Royal Norwegian Consulate General with The Rising Talent Of The Year Award and we couldn't be prouder. Or could we? Her stylist, Tanya Ghavri, posted a picture on Instagram sharing with us the details of Janhvi's look for the occasion and we are beaming with joy, actually, tears of joy. 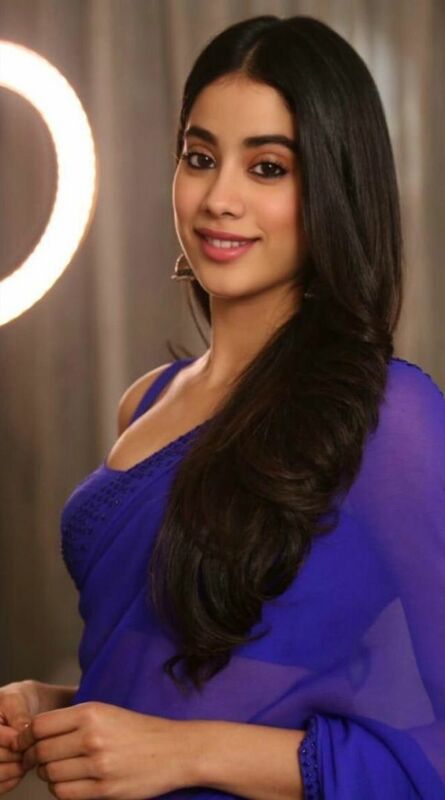 Janhvi wore a beautiful blue saree custom made for her by Arpita Mehta. 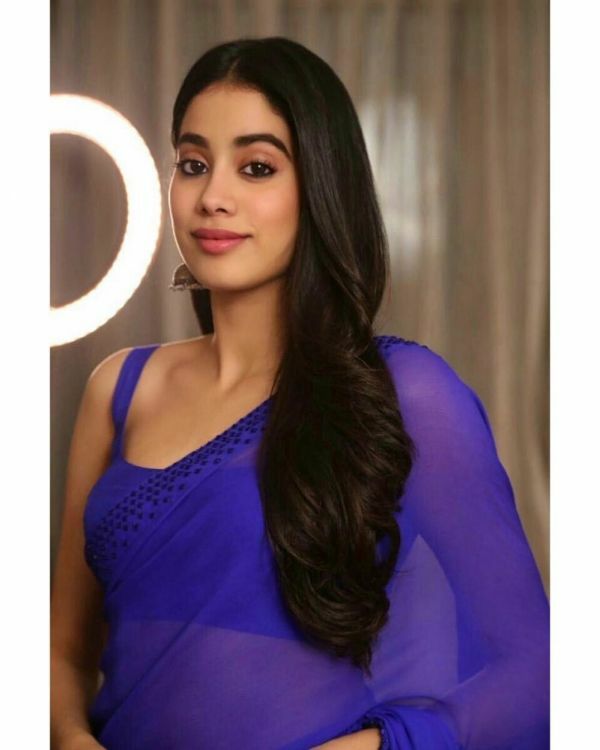 Ghavri wrote, "...Janvhi Kapoor in a custom Arpita Mehta saree today is an ode to one of the most beautiful and talented actresses of Indian cinema, Sridevi! An ode to Chandni...". We are not crying, you are! 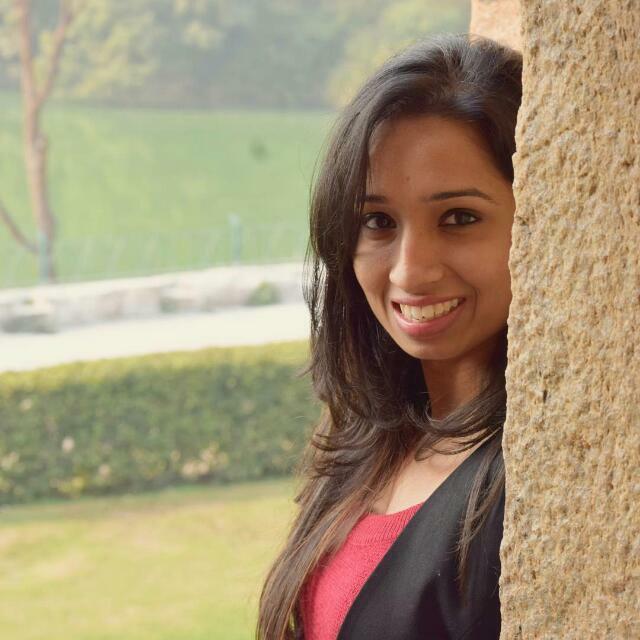 Janhvi has often worn her late mother's clothes to events. We remember when she wore Sridevi's saree to receive the National Award on her behalf after her demise. Later, she also wore her pink floral dupatta and styled it exactly like Sridevi used to. Like mother, like daughter! Nothing beats the elegance of a simple chiffon saree. They are light in weight, easy to carry, and high on style. Janhvi's sheer blue saree with an embellished border will be perfect for you if you are wearing a saree for the first time. The look couldn't have come at a better time when the wedding season is at its peak, amirite? 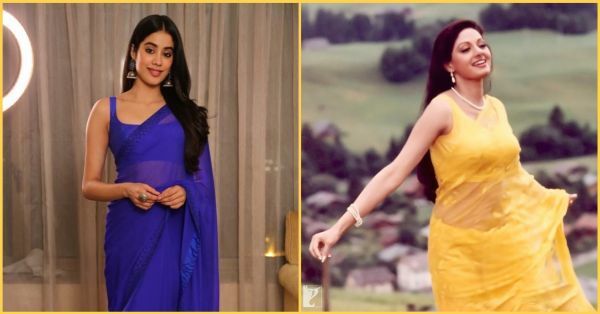 While Sridevi wore a yellow saree, Janhvi wore a blue one. The blouse design, the saree style, and the way she carried ensemble are exactly the same as Sridevi. Don't you think so? 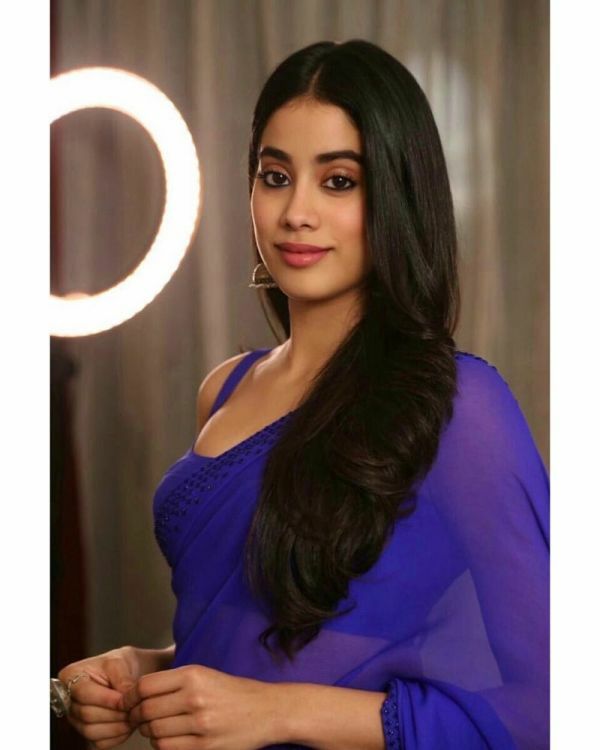 Take cues from Janhvi here and complete your simple saree look with a pair of statement earrings. It is at times like these when investing in a pair of gold-toned jhumkas comes in handy. These dome-shaped jhumkas have baby pearl detailing and blue embellishments at the top. We love! She accessorised the look with a gigantic ring and, well, that's all she needed. For a more glamorised look, add lots of bangles and carry a gold-toned potli bag with your saree. Here are 10 potli bags we are crushing on this season.